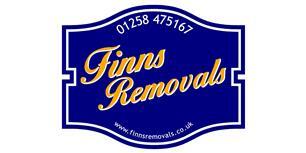 Finns Removals - Removals/Storage based in Sturminster Newton, Dorset. We're a family run removal business based now in Sturminster Newton. Covering all the local areas such as Marnhull, Gillingham, Shaftesbury, Mere, Wincanton, Sherborne, Milborne Port, Warminster, Blandford Forum, Castle Cary and further afield such as Wimborne, Ferndown, Verwood, Christchurch and many more areas. With over 20 years’ experience in the removal trade. We pride ourselves on providing a professional removal service to our customers. Finns Removals can cater for all sizes of domestic moves from a one bed property to your country Mansion. We are fully insured. We also belong to the Federation of Small Businesses. If we can be of assistance to you, do not hesitate to contact us.